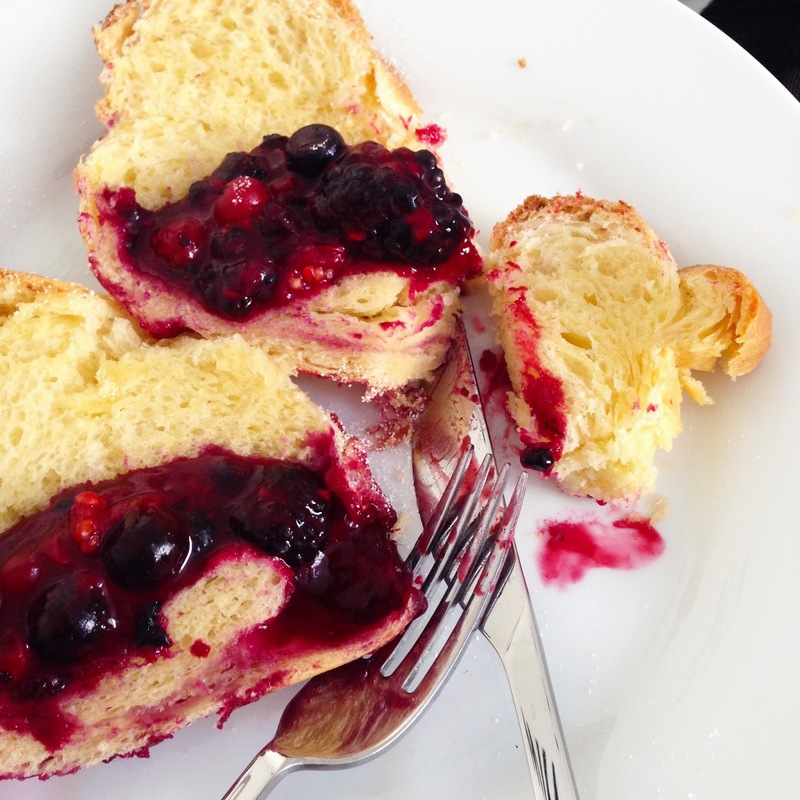 a berry brioche will make your day brighter! i feel the uttermost need to experiment, discover and push my limits every time. i can't stay still, because even when I do it my mind is still racing. in my head, at any time, ideas swell and eventually overflow like popping corn, unpredictable, plenty and loud. i also use to put recipes together during meetings. or on my way home, in the metro. or while i'm shopping for groceries. or in the shower. it's just something that i can't avoid. all of this to say that i have been dreaming about this day for a long, long time. i had the recipe thought of, i had seen plenty others for inspiration, i was even convinced i could successfully do it, but i never found the time. it does take some eight hours - and some more overnight rest - but i finally convinced myself that it would be absolutely worth it. 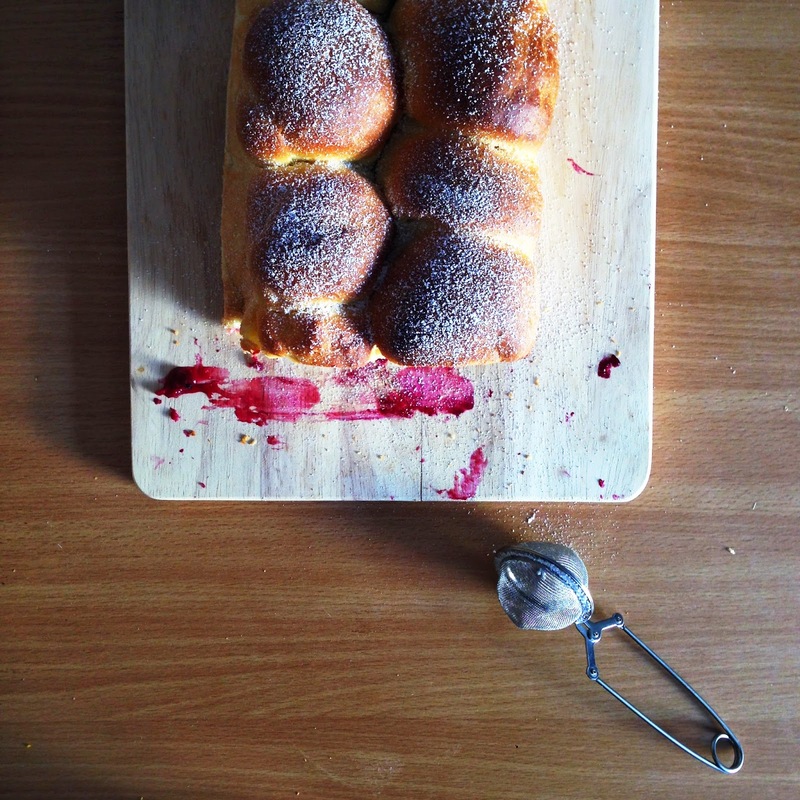 i was partially guided by some brioche recipes i've found online, but i made it pretty much from scratch. having no stand-mixer, i kneaded it all by hand - and oh yeah, if that wasn't some heavy work out! 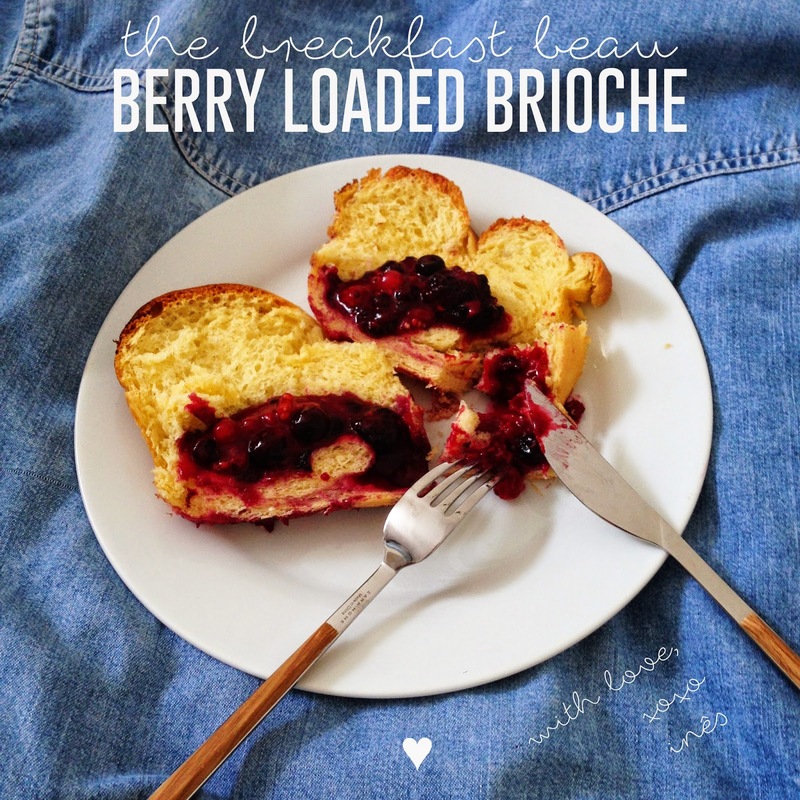 - i used frozen berries - which are usually too watery for this kind of recipe, but i'm not rich! - and i didn't really follow any guidelines on pretty much anything - only my gut, which once more has proven to be sharp. i was astonished at how perfect this whole thing actually turned out. modesty aside... it was absolutely gorgeous. whenever i bake bread, i always think that it is the best bread i've ever made/eaten/seen. but this time i think i've raised the tide quite high. may i tempt you too? so if you have nothing to do this saturday night... or if you find yourself awake before noon tomorrow... give this brioche dough a try. because it will be the best bread you've ever baked. Numa taça grande, misturar o fermento e o açúcar e juntar o leite. Deixar repousar cerca de 5-10 minutos, deixando formar uma espuma espessa no topo. Juntar à farinha e o sal aos poucos, incorporando gradualmente com o fouet. Após juntar metade da farinha, continuar o processo amassando com uma mão. Reservar numa taça untada com óleo, coberta com película vegetal e/ou um pano de cozinha limpo, em lugar morno. Deixar levedar durante cerca de 2-3 horas. No final do primeiro repouso transferir para o frigorífico e deixar estar durante uma noite - pode-se possivelmente saltar este passo mas recomendo-o. 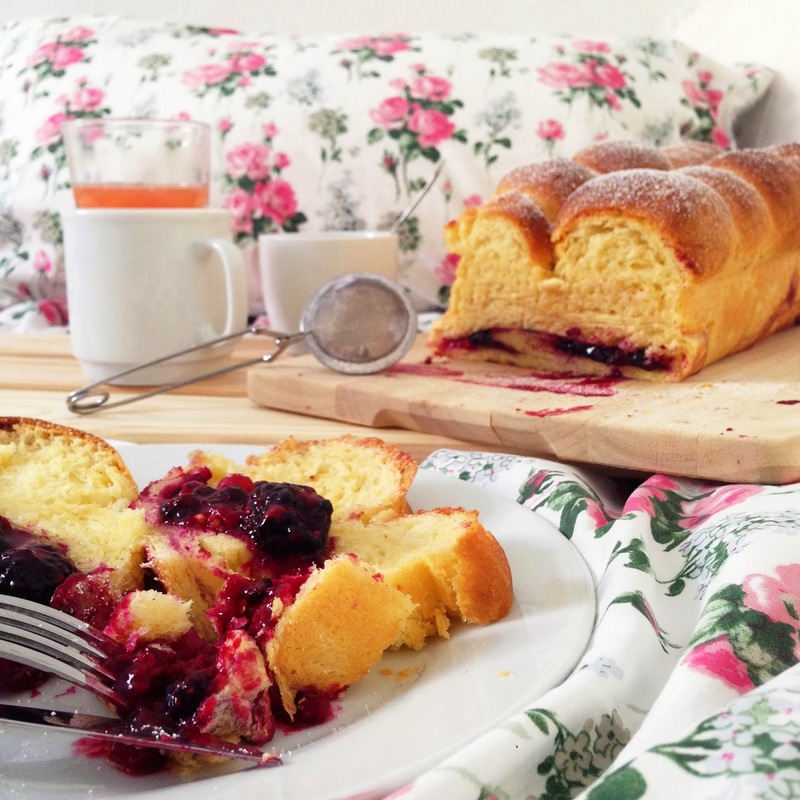 Untar uma forma de bolo inglês grande, com bastante manteiga. Entretanto, misturar bem os frutos vermelhos congelados com os restantes ingredientes do recheio. Espalhar o recheio sobre a massa, deixando cerca de 2-3 centímetros de todos os lados para enrolar e fechar. Enrolar a massa, fechar as pontas e colocar na forma. Estender a restante massa e cortar em 10 partes iguais. Formar uma pequena bola com cada parte e espalhar todas as bolas sobre o rolo recheado a gosto. As bolas ficarão com bastante espaço entre si, cerca de 3-4 cm não serão um problema. Aquecer o forno a 180ºC. Levar o pão ao forno cerca de 40 minutos. Não fiz nenhum teste, foi a olho, mas o topo deve estar dourado e soar oco. Remover do forno, deixar arrefecer um pouco e desenformar. Cortar e servir ainda morno. Gradually incorporate flour with the help of the whisk. After reaching half the amount of flour, keep on kneading the dough with one hand. Spread over the filling, leaving some 2-3 cm all around, roll it and close the tops. Place in the greased pan. Roll the second part of dough and cut it into 10 even parts. Shape small balls and spread them over the first roll. It is okay for them to be quite far apart, about 3-4 cm. Remove from oven, let cool for a while and unmould. Que delícia! Adoro estes pães doces e o teu ficou mesmo apetitoso. 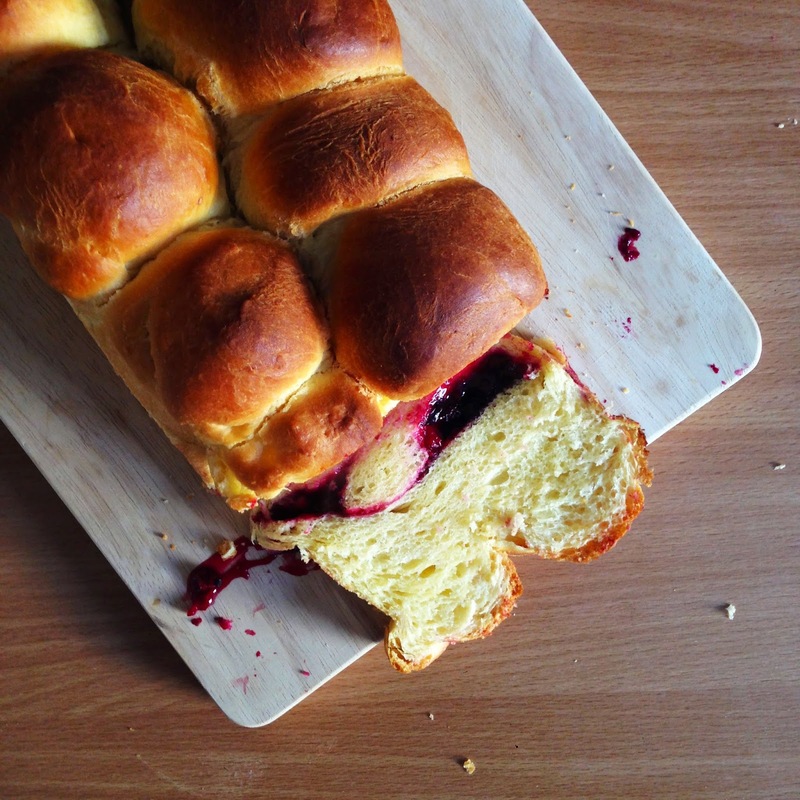 That brioche is stunning! There really is no need for modesty. 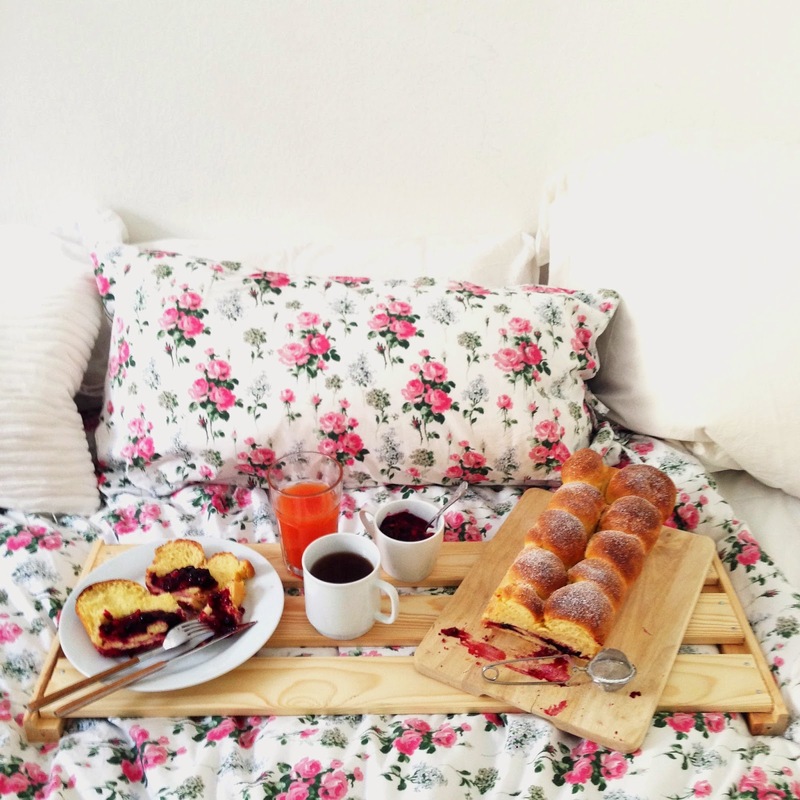 I would be SO proud to make a bread like that just by trusting my gut!